It seems to me that if you (or a protagonist) feel strongly that your life is boring, then you are a boring person. 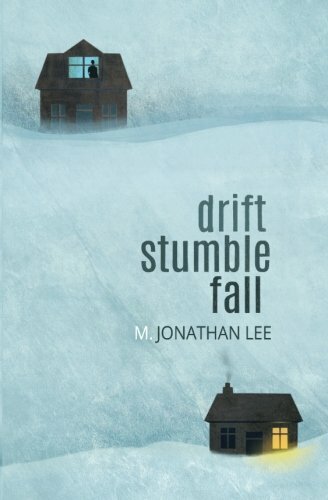 Fortunately this sensible theory is turned on its head with M. Jonathan Lee’s fifth novel Drift Stumble Fall. While his hero expresses such boredom that it suffocates him and makes him long to escape into a fantasy-driven life set in my home state of Nebraska (shocking! It couldn’t be our weather…), I’m very pleased to report that he’s certainly not a boring person to read about. Crazy, yes. Boring, no! Richard (Rich) is a thirtyish accountant with a wife, two small, adorable kids, a sleepy dog, a house that needs to be fixed up, visiting in-laws, and elderly neighbors he thinks have the perfect life of peace. Oh, yes, and a drawn-out blizzard that builds the tension as he must deal with the reality of his life rather than bury himself in escapism. His eyes and mind are opened, slowly, but surely. In the beginning I felt he might kill himself. He seemed so depressed, so angry with being stuck with his life, but gradually I realized he desperately wanted a different life that freed him from his burdensome responsibilities, noisy kids, lazy wife. Why should he waste his life living for others who would be better served by someone who actually wanted to be with them? He felt like such a fraud. A coward. He would be doing everyone a favor by disappearing from their lives. 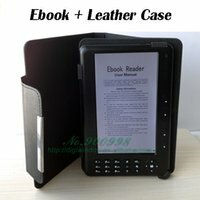 Other chapters follow the even sadder story of his elderly neighbors he watches with envy, but without understanding anything about their lives. Bill stares out his window as Rich stares out his, both men wishing for the other’s life. Bill and his wife live suspended in fantasy as well. M. Jonathan Lee mesmerizingly develops each story with baby steps that allow the release of tension, which is not necessarily predicated on a joyous turn of events. Sometimes tragedy must happen for this change of perspective, of new awareness and conscience. Mother Nature carries us along in its snowy arms, but it’s human love, wrapping around our fingers, that happily delivers us. I received this lovely book from the English author, not having requested it. Perhaps he loved my review of his book Broken Branches or he feels sorry for my living in Nebraska , the lonely, peaceful place Rich wants to escape to. He should know that Nebraska can have very unpredictable, inclement weather too. And what year was Rich’s atlas from? Omaha hasn’t been Nebraska’s capital since the 1800s! …He is standing at the window in the warmth of his lounge. It looks peaceful and quiet through the window. Life looks slow. All milestones achieved and accounted for. ..A steady flow of tea and warmth and quietness and being able to do what they wish when they wished. It is far away from the stop/start of my life. The constant changing of emotions. My on-off-on-off-on-off binary existence which changes from minute to minute. I’d do anything to be them right now. About the reviewer: Jan Peregrine has tried her hand at self-publishing and has about seven she recommends on Amazon or Audible. She has a new audiobook on audible.com, Dr. Freudine Is In: The Drama Deepens.